"Cerebus began as a simple parody of the sword & sorcery comics of the 1970s, albeit with a grumpy aardvark. However, a slow evolution began partway into the first volume and never really stopped. Gradually, and over the course of many volumes, the series became the most experimental, artistic, philosophical, and overall intelligent comic I've ever read or even heard about. It continually broke new ground in the comic genre in ways that still haven't been duplicated nor surpassed. 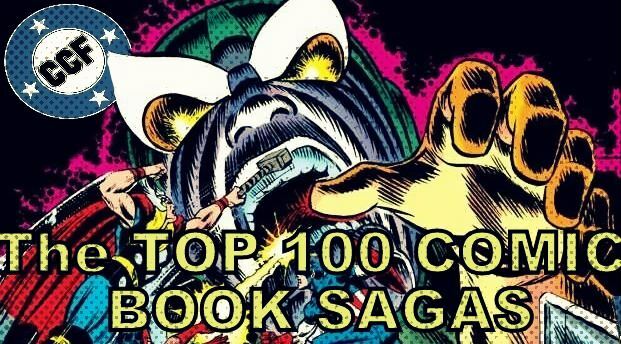 Sim is the ultimate innovator of the comic book medium, and it's for that reason that, regardless of what I think of him or of the directions this series takes, I continually respect Cerebus enough to call it the greatest comic book saga I've ever read." Whether you love or hate Sim, Cerebus itself deserves all of the praise and admiration for what it has accomplished. I found Cerebus with issue 7 and bought 1-6 the very next week. Continued with monthly issues up til around 150 and then life interfered and I dropped it and have yet to go collect the remaining issues to read the final pay off. But I was there at the ground floor which built the massive towering phone books of Cerebus and Sim was hitting it out of the ballpark and with Gerhard's help then artistically grew something that scared the bejeebers out of the regular comics companies showing that there is more to be done in comic books than superhero slug-fests. I've read a fair bit of Cerebus, but by no means the entire run. Another one of those things I need to get around too some day. Church and State is absolutely brilliant. This is one of those books that I've tried to get into, many, many times but just can't get any enjoyment out of. Where have you tried to start? The early issues can be rough going...I tend to like them, but it's a sword & sorcery parody and some don't care for it. The series starts to change directions and/or find its footing with issue 20. High Society is a big leap forward and Church & State is amazing. I used to have the first 100 issues but I couldn't make myself go any further. It could well be that it's just not for you. We will only judge you a bit. When we revisited Cerebus for the Cerebus Reading Society (which, by the way, I totally want to resurrect), I tried to approach it from the perspective of someone who read and didn't like Cerebus. I wanted to understand the dislike. I think it comes from trying too hard to follow plots and character arcs. They take tremendous effort to keep up with and never pay off -- details often abruptly change on a whim and without explanation. So if that's the objection, I recommend paying it no mind and savoring the experimentation and expressionism of the whole thing instead. I'm a writer and usually look at plotting first as a result, but Sim's plots exist solely to create moments. Understanding that may help one's enjoyment of Cerebus. Oh boy. I like a lot of Cerebus. I love a lot of Cerebus. I find some of Cerebus unreadably boring. I think some of Cerebus has that can't-look-away morbid car accident appeal. 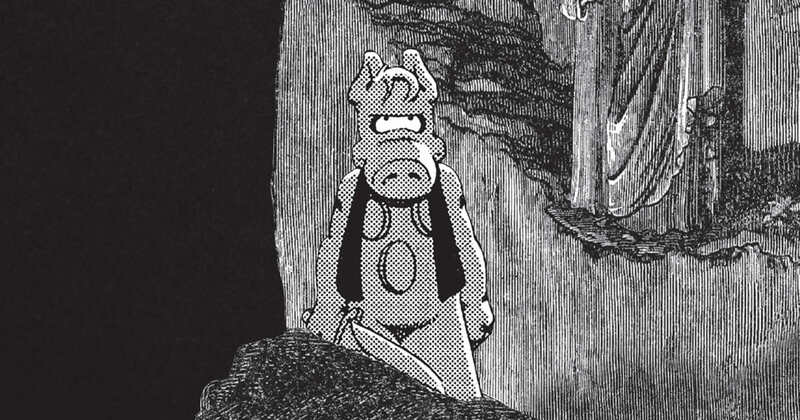 I definitely haven't sorted out my feelings toward Cerebus and what it means yet. You either love or hate it, there doesn't seem to be any middle ground around it. His personal beliefs aside, Sim should be considered a genius for his accomplishment here in independent publishing. What started off as a parody grew to incorporate even more parodies (brilliantly) as it depicted, for better or boredom, the ups and down of this aardvark's life. I still believe that High Society and the Church & State volumes have poignant comments and views on both politics and religion that are still relevant today. However, when Sims hit the full on adaption of Oscar Wilde, I mostly dropped out. I really do need to finish this at some point though (considering that I still have volumes 1-9 of it).